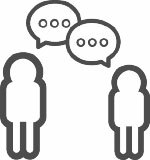 What's in your vision provides context, while hearing acquires exact information when people chat. Touch, smell or even taste render chemical reactions, which is the so called atmosphere. They Are in Long Distance? Interactions without physical contact can hardly establish intimacy. IT IS THE WAY WE DELIVER IT. /POKEMO is a tactile interactive communication device designed for long distance couples. It not only senses your mood with embedded sensors, but gets to know you and your emotion over time as well, which makes it much easier to share your emotion with your partner. Wearable and convenient, it provides better interaction experience and could strengthen emotion bond between long ditance couples. 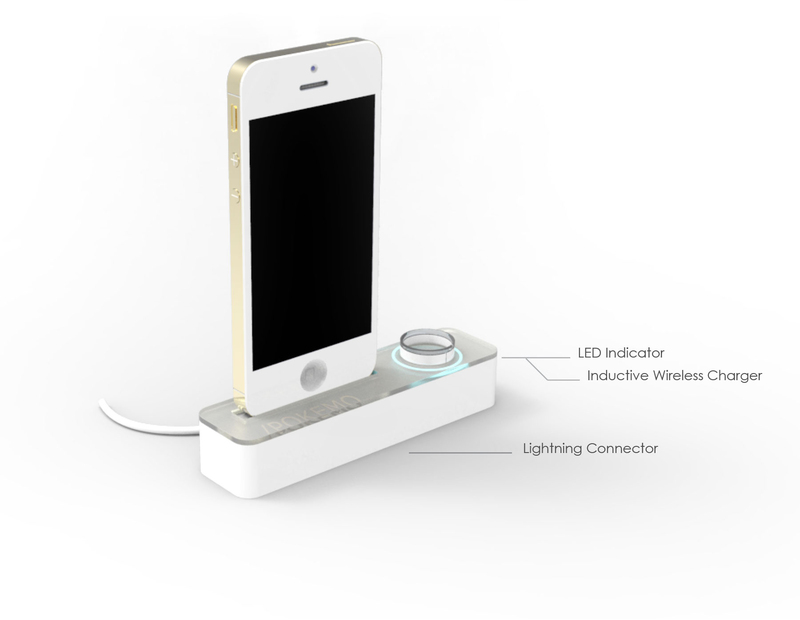 The two rings communicate with each other through talking to the owner’s smart phone using BLE. The smartphone, which is connected to the Internet, will sync data to the cloud service. Complicated calculations are processed on the smartphone instead of the /POKEMO ring in order to save battery. Physically interact with your partner with unique tactile message by poking and twisting the /POKEMO ring; a customizable message coding menu is provided in the App, which is synced by both parties’ smartphones. /POKEMO’s inner layer tights up to alert you on your partner’s bad mood; this function is achieved based on analysis of GSR readings and other body characteristics. 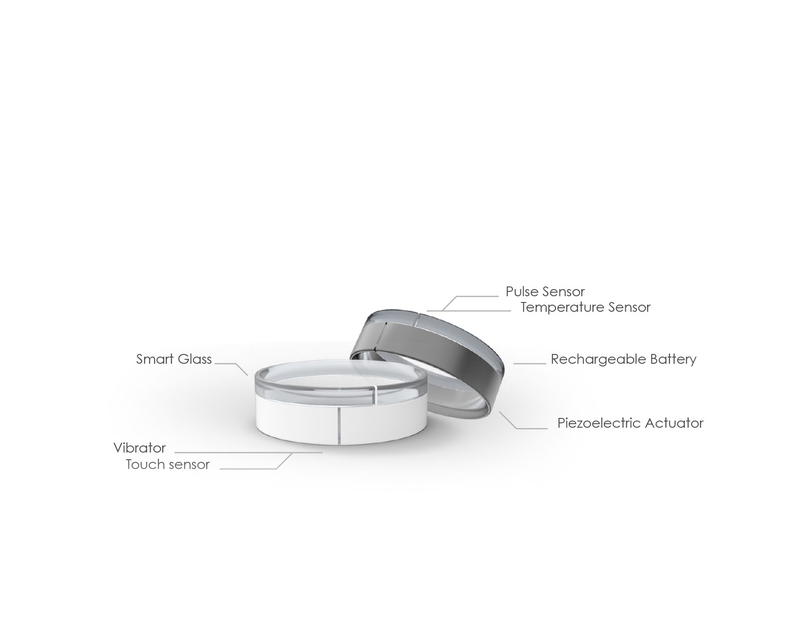 The opacity of upper ring layer (LCD material controlled by voltage change) reflects your partner’s health status. It turns foggy and opaque when biological signals indicate illness. Almost all test users responded possitively on the designed interactions and they showed specific interests in customizing their own tactile messages using the tap/vibration mechanism. Some reflected if an emergency alarm is added, this design will be able to expand its use scenario to elderly care.